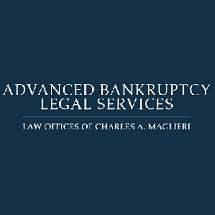 Charles A. Maglieri is a sole practitioner who concentrates his areas of practice in bankruptcy and bankruptcy related cases, contested foreclosures, loan workouts, common law compositions and arrangements and business organizations. Mr. Maglieri has represented both creditors and debtors in all chapters of bankruptcy law; however, in the past 17 years, has limited his practice to representing debtors in both consumer and commercial cases. He received his B.A. degree from Central Connecticut State College and his J.D. degree from Western New England College School of Law. Mr. Maglieri is a member of the Connecticut Bar Association, Commercial Law and bankruptcy Section, Hartford County Bar Association, Commercial Law and bankruptcy Section, the American Bankruptcy Institute, National Association of Chapter 13 Trustees, a volunteer Mediator for the Bankruptcy Court Mediation Program at Hartford and is the Moderator for the Consumer Bankruptcy Round Table Discussions. He has held prior teaching positions at Western New England College School of Law and Tunxis Community College, lecturing on the code of professional responsibility, criminal law, constitutional law, evidence and court procedure. Mr. Maglieri is admitted to practice law in the State of Connecticut, Trial and Appellate Courts; United States District Court for the District of Connecticut; United State Court of Appeals, Second Circuit, and the Supreme Court of the United States of America.